When the town of Winthrop needed a new name for their town, they did what anyone would dothey hired a consultant. The protagonist of Apex Hides The Hurt is a nomenclature consultant. If you want just the right name for your new product, be it automobile or antidepressant, sneaker or spoon, hes the man to get the job done. Wardrobe lack pizzazz? Come to the Outfit Outlet. Always the wallflower at social gatherings? Try Loquacia. Apex Hides The Hurt brilliantly and wryly satirizes our contemporary culture, where memory and history are subsumed by the tides of marketing. 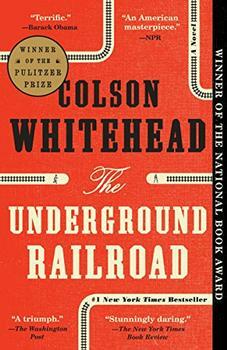 "Whitehead disappoints in this intriguingly conceived but static tale of a small town with an identity crisis." - PW. "In spare and evocative prose, Whitehead does Shakespeare one better: What's in a name, and how does our identity relate to our own sense of who we are? For serious fiction collections in academic and public libraries." - Library Journal. "Cultural insight, conceptual ingenuity and cutting-edge humor distinguish the third novel by a New York writer who never fails to engage and intrigue." - Kirkus. The information about Apex Hides the Hurt shown above was first featured in "The BookBrowse Review" - BookBrowse's online-magazine that keeps our members abreast of notable and high-profile books publishing in the coming weeks. In most cases, the reviews are necessarily limited to those that were available to us ahead of publication. If you are the publisher or author of this book and feel that the reviews shown do not properly reflect the range of media opinion now available, please send us a message with the mainstream media reviews that you would like to see added. Colson Whitehead is the author of the novels Sag Harbor, a PEN/Faulkner award finalist; The Intuitionist, a finalist for the PEN/Hemingway award; John Henry Days, which won the Young Lions Fiction Award, the Anisfield-Wolf Book Award, and was a finalist for the Pulitzer Prize; and Apex Hides the Hurt, a New York Times Notable Book and winner of the PEN Oakland Award. He has also written a book of essays about his home town, The Colossus of New York. His most recent novel The Underground Railroad, was published in 2016 and is the winner of National Book Award for Fiction, finalist for Kirkus Prize, and Carnegie Medal, it was also #1 New York Times Bestseller, #1 Time Magazine Book of the Year, #1 Amazon Book of the Year.